Grab your kayak and come paddle with us down Drakes Creek Cove with an after celebration at Sander's Ferry Pizza! Paddling is more fun with friends! 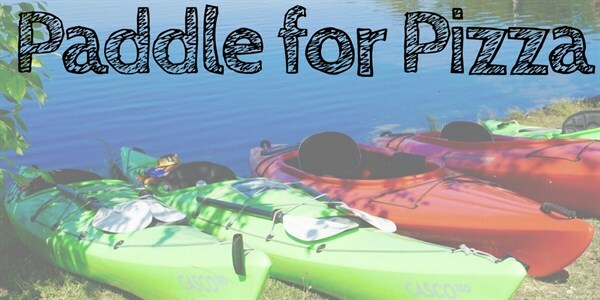 Join us for this beginner friendly 4 mile paddle on Old Hickory Lake! Get in a great workout, enjoy the summer, swim with friends, and create some Team Lightning memories! As a reward, after we finish the paddle we will head over to Sander's Ferry Pizza & Pub for a group dinner! This event is BYOB (Bring Your Own Boat), you must be able to transport your own watercraft to and from the event! Cost: FREE! This event is BYOB (Bring Your Own Boat). Parking: There is plenty of parking at the boat ramp! Dog Policy: Friendly Dogs on leashes, who have prior experience in boats, are welcome! Weather Policy: This is a rain or shine event. We will wait out any thunderstorms along the banks if the storms are scattered. In the event of severe weather, this trip will be postponed. Cancellation Policy: If you have registered and need to cancel you spot, please e-mail TeamLightning@lightning100.com! If you don't own your own boat but would still like to attend, you can rent from local retailers like Hook1! You must have your own way to transport your boat! This event is open to members and non-members. This event is BYOB (Bring Your Own Boat). Registration is required.